We would like to thank everyone who supported our fund raising event held March 19, 2016 at the Litchfield Community Center! Your support will help us continue providing educational programs delivered through the market. 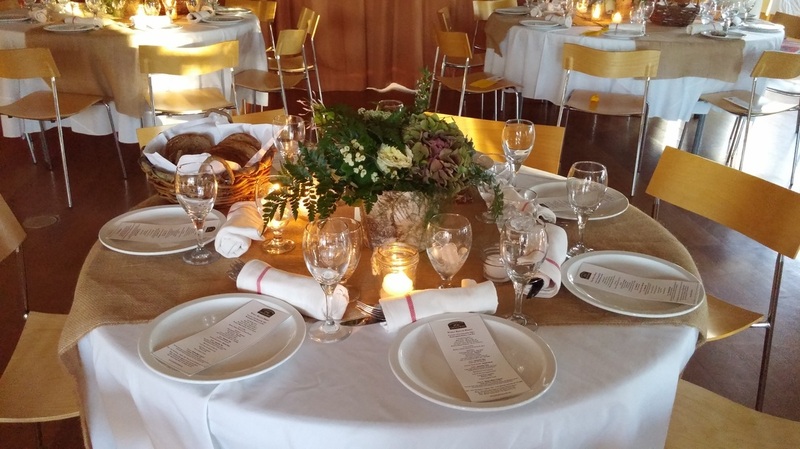 Below are some of the details from the Winter Harvest Dinner event. Below are some we've offered. There are many more that have been requested and we would offer if funds were available. A workshop was held for those interested in learning the basics of how to “put foods up” sponsored by the Litchfield Hills Farm-Fresh Market on September 23, at the First Congregational Church of Litchfield. 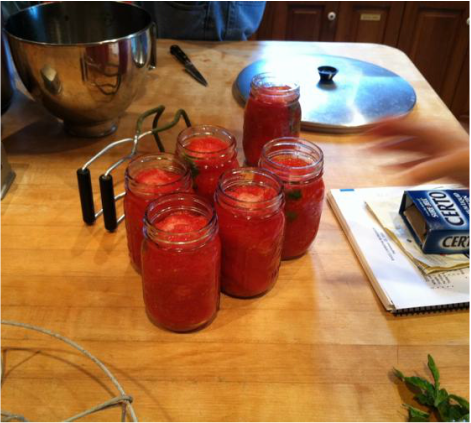 The program followed the guidelines outlined in the US Department of Agriculture’s Complete Guide to Home Canning, which is the methodology approved by the CT Department of Consumer Protection. The workshop began with an overview of a variety ways to preserve food followed by a demonstration of canning two different products. 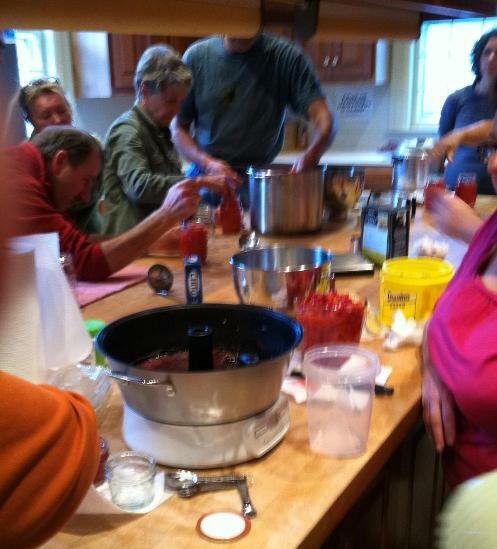 This workshop was intended for people who are NEW to canning. The workshop was led by Margy and Craig Miner. View the pictures to see how much fun all the participants had! Make your own worm composter was held on Saturday, May 11, at the Litchfield Hills Farm-Fresh Market. Worms can turn your everyday kitchen waste into rich compost that both garden and house plants love. The workshop included a brief presentation on why and how to maintain a worm bin, followed by time to make your own bin. The tools, bedding, and a scoop of worms to get you started was provided. The workshop was free. Mary Lynne Boisert of Bethany Homecrafts returned to the Litchfield farmers’ market to teach another repurposing trick – this time upcycling used wool sweaters. Mary Lynne was available to show examples and answer questions throughout the market. She gave a hands-on demonstration on recycling sweaters, including felting. 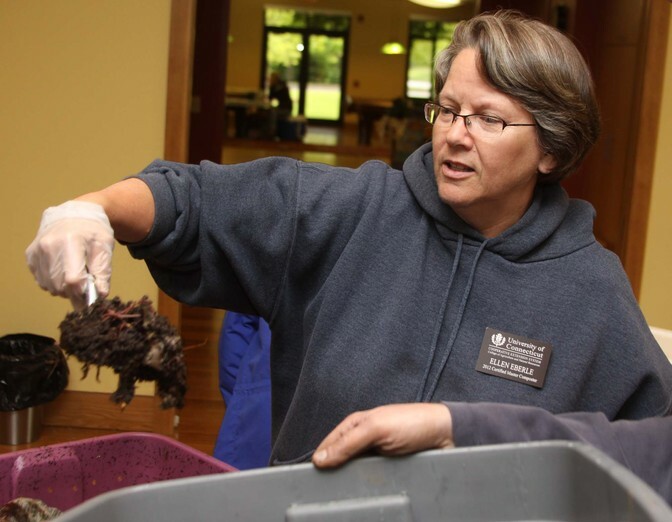 There was a Vermicomposting demonstration at the Litchfield Hills Farm-Fresh Market, Saturday, February 2, 10 am – 1 pm. Ever heard of vermicomposting? It is the process of using worms and micro-organisms to turn kitchen waste into black, earthy-smelling, nutrient-rich humus. It’s a great way to compost kitchen waste during the winter or year-round if you live in an apartment, condo, or town that doesn’t allow outdoor composting. 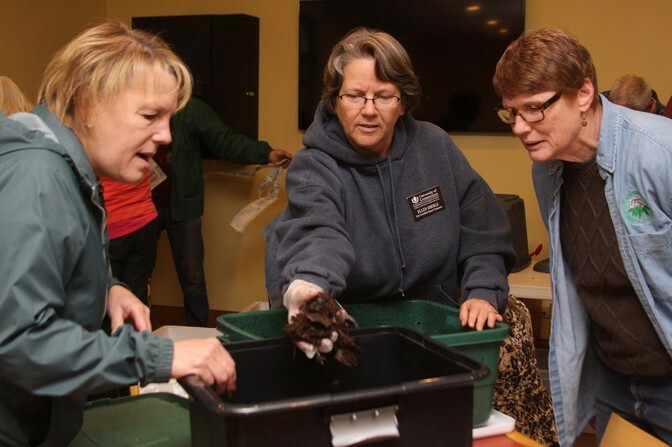 Master Composter Ellen Eberle demonstrated two different types of worm bins as well as had all the information you needed to get started. Mary Lynne Boisert of Bethany Homecrafts repurposes old clothing into new. At the January 19 Litchfield Hills Farm-Fresh Market Mary Lynne did a workshop on how to felt sweaters and showed what can be made from the felt. She conducted a “how to” and had examples and answered questions throughout the market. A sustainable gift wrapping workshop was held at the market Saturday, December 15th. The subject: go green with your holiday gift wrapping. The workshop was based on the traditional Japanese art of furoshiki, and to learn how to wrap with reusable fabric and a few simple techniques – no tape or was scissors required, just tying knots. There was a display and a demonstration on Home Composting on Saturday, October 13th, at the Litchfield Hills Farm-Fresh Market. Led by a Master Gardener, the display included free literature on the benefits and methods of composting, examples of easy homemade bins including worm bins, samples of materials to compost and of finished compost, and hands-on activities for all ages. The activity was on-going during opening hours of the market, 10 AM – 1 PM.